Pediatric trauma is not uncommon. 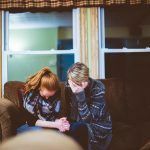 Patients are at risk for trauma especially in the teenage years when they are more active and try more risky behaviors. Younger kids get in accidents due to falls from playground accidents and due to motor vehicle accidents. Some of these accidents result in severe injuries while others result in death. 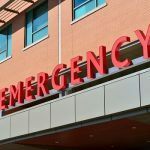 One study looked at a retrospective analysis of pediatric patients admitted to the hospital following trauma related to automobile accidents, motorcycle accidents and all-terrain vehicles or ATVs. They studied patients admitted at the Columbus Children’s Hospital and who were on their Trauma Registry in the years between January 1993 and December 2003. A total of 1608 patients were evaluated who were involved with motor vehicle accidents. The researchers looked at the Glasgow coma scale, revised trauma score, age, hospital length of stay, age, and injury severity score. 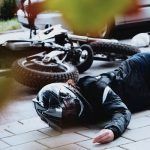 The research showed that 78 percent or 1257 patients were injured as a result of a motor vehicle accident, while 123 patients or 8 percent were involved in motorcycle accidents. A total of 228 patients or 14 percent were injured in ATV accidents, which were considered to be more dangerous than even motorcycle accidents. Most injuries from all types of vehicles were more common in the summer months, especially in cases of ATV and motorcycle accidents. Kids who were involved in motor vehicle accidents had worse Glasgow coma scale scores than those who had injuries sustained in ATV accidents and motorcycle accidents. 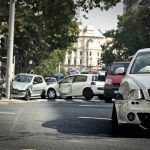 Even though kids are less protected by ATVs and motorcycles, the speeds involved in motor vehicle accidents are such that the forces on the head are greater in these types of accidents. There are more coup and contracoup injuries to the brain and a decreased level of consciousness. Each type of injury had the same length of stay at the hospital, staying several days in most situations. Kids who had head injuries or femur fractures stayed longer than kids with spinal injuries or other injuries. Some kids required orthopedic or general surgery, especially for femur fractures or for internal injuries to the solid organs or to the viscus. A few kids needed neurosurgery to remove blood clots within the skull from closed head trauma or skull fractures. One thing noted by researchers was that protective devices were not utilized enough in all motor vehicle types of accidents. When protective devices were used, such as helmets and seat belts, the Glasgow coma score was greatly higher and the injury severity score was much less. There were also shorter lengths of stay when seatbelts and other protective devices were used. The best safety device used was the seat belt which was associated with the best outcomes–even better than helmets. It was noted that restraining devices like seat belts were decreased in use the older the child was. What this research pointed out was that the use of restraining devices and helmets for ATV or motorcycle use does a great deal to decrease the incidence of serious injury or accidents.